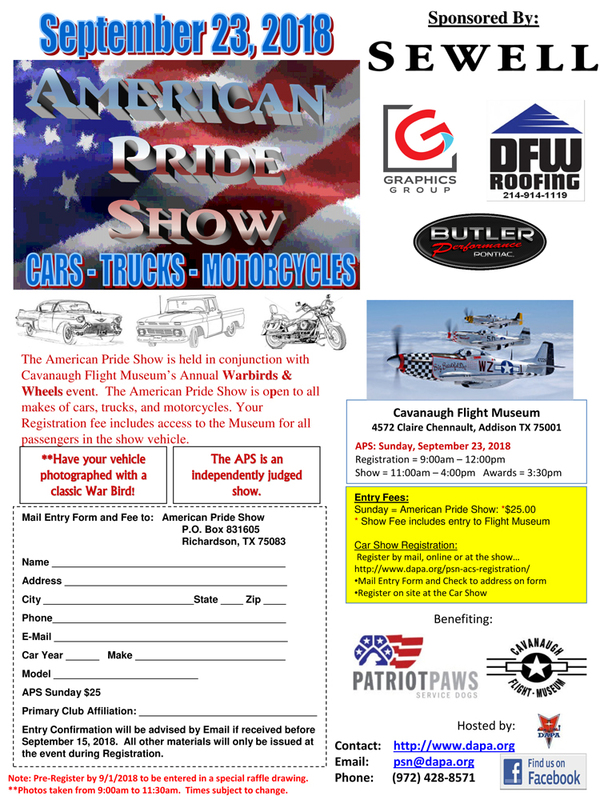 The American Pride Show is held in conjunction with Cavanaugh Flight Museum’s Annual Warbirds & Wheels event. The American Pride Show is open to all makes of cars, trucks, and motorcycles. Your Registration fee includes access to the Museum for all passengers in the show vehicle. Have your vehicle photographed with a classic War Bird! Register by mail, online or at the show… http://www.dapa.org/psn-acs-registration/ •Mail Entry Form and Check to address on form.